The education, training, or skill they are pursuing in this country appears on the Exchange Visitor Skills List (1997 Amendment) for their country. They acquired J-1 status on or after January 10, 1977, for the purpose of receiving graduate medical education or training. 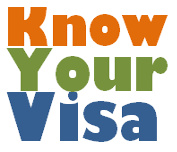 Exchange visitors who are subject to, but do not wish to comply with, the two-year home country residence requirement, may apply for a waiver of that requirement under any one of the five applicable grounds provided by the United States immigration law. Note: The law precludes use of this option by medical doctors listed in "c" above. The exchange visitor's government must state that it has no objection to the exchange visitor not returning to the home country to satisfy the two-year foreign residence requirement of Section 212(e) of the Immigration and Nationality Act, as amended, and remaining in the U.S. if he or she chooses to do so. If an exchange visitor is working on a project for or of interest to a U.S. Federal Government agency, and that agency has determined that the visitor's continued stay in the United States is vital to one of its programs, a waiver may be granted if the exchange visitor's continued stay in the United States is in the public interest. Note: For applications on behalf of foreign physicians who agree to serve in medically underserved areas, please refer to Federal Register Volume 62, No. 102 of May 28, 1997. If the exchange visitor believes that he or she will be persecuted upon return to the home country due to race, religion, or political opinion, he or she can apply for a waiver. Note: The law permits only medical doctors to apply for a waiver on this basis. Pursuant to the requirements of Public Law 103-416, of October 25, 1994 and Public Law 107-273, of November 2, 2002, foreign medical graduates who have an offer of full-time employment at a health care facility in a designated health care professional shortage area, and who agree to begin employment at the facility within 90 days of receiving such waiver, and who sign a contract to continue to work at the health care facility for a total of 40 hours per week and not less than three years, may apply for a waiver.